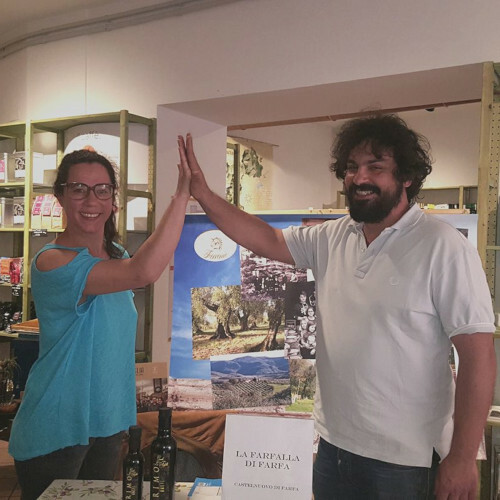 Chiara and Francesco are two young people who responded to the call of nature, abandoning everything and going to cultivate a real corner of paradise in Castelnuovo di Farfa. Chiara’s aunts and uncles created the structure more than twenty years ago, including a natural pool where eels swim. As we know, nature needs strength and passion to flourish so the two young people decided to devote themselves entirely to this world, also following the training courses to learn all the secrets of the trade. At La Farfalla di Farfa they do not believe in monocultivars but in what nature gives of its own will; nature follows its course only if it has a friendly environment: this is the task of Chiara and Francesco, “cuddle” the plants and make the land and all the conditions favourable for good harvest.